­According to Bank of Russia’s data, 69 of 151 banks could have their licenses revoked if they fail to meet the requirement. Together they need about 3,5 billion roubles. “If the banks fail to reach the required minimum of capital, they have to reorganize themselves intonon-bank credit companies or to shut down”, says Yury Kravchenko, analyst from the Veles Capital company. But not all of these banks face serous risk. Smaller banks that feel a major lack of capital will have difficulties in reaching the required minimum, the analyst expects. “The owners have to use their own assets, because third part investors are usually not interested in them”, Mr Kravchenko added. Banks who miss out the target by less than 10 million roubles, and those with deals in place to attract additional capital will be given 'mulligan' by the regulator. Having survived this hurdle, the banks left operating after January 1, face an even bigger one. 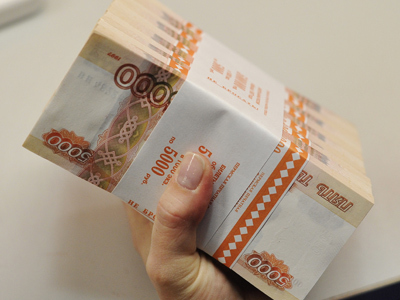 The Russian Government wants to almost double minimum capital to 300 million roubles by 2015.